If your computer is booting slow, then you may not have "Fast Startup" configured in Windows 10. Here are the steps to make your PC boot up quickly. It's not just about the speed of the processor, memory, and the use of a fast Solid-State Drive on your computer that makes Windows 10 a snappy operating system. Windows 10 also relies on features and different techniques to work fast and provide quick boot times. Fast Startup is one of the features initially made available with Windows 8.x, that combines techniques in hibernation and in the shutdown process to enable the operating system to reduce the boot time significantly. The feature comes enabled by default on new installations. 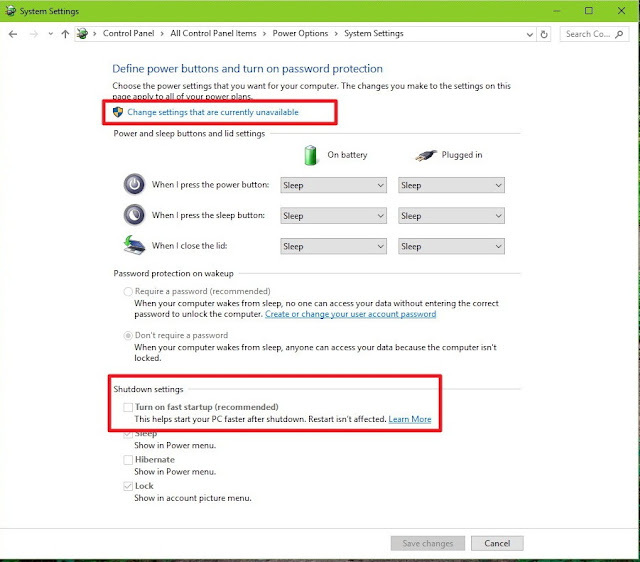 However, if you have been wondering why you're experiencing slow boot times in your Windows 10 PC. The reason could be that you have upgraded from Windows 8.1, and Fast Startup was previously turned off, or the operating system just didn't enable it during installation. 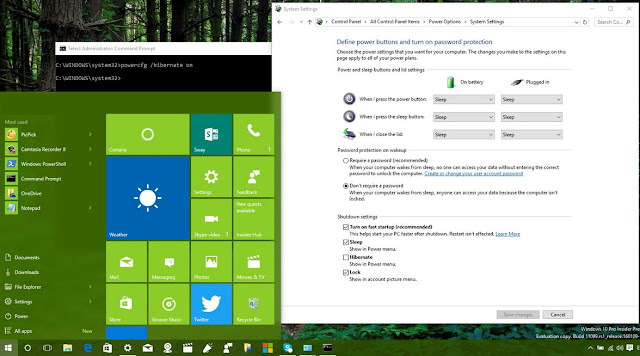 Now to make your computer boot fast again, we'll show you in this Windows 10 guide the steps to enable Fast Startup on your computer. Right-click the Start button and select Power Options. 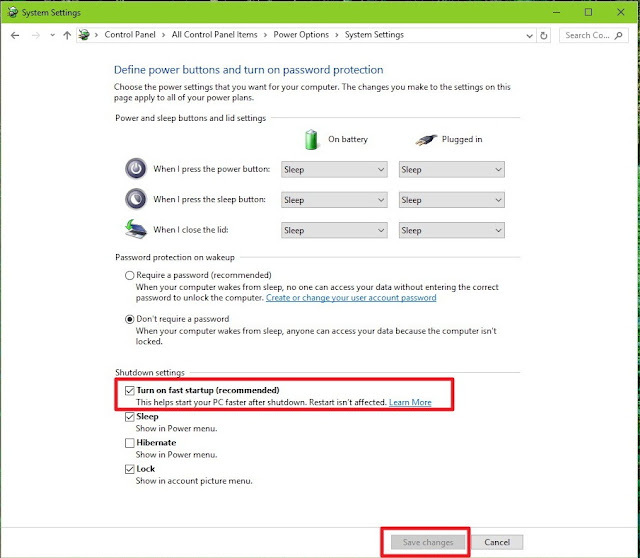 From the left pane, click the Require a password on wakeup to access the System Settings of Power Options. Click the Change settings that are currently unavailable link to modify the Shutdown settings. 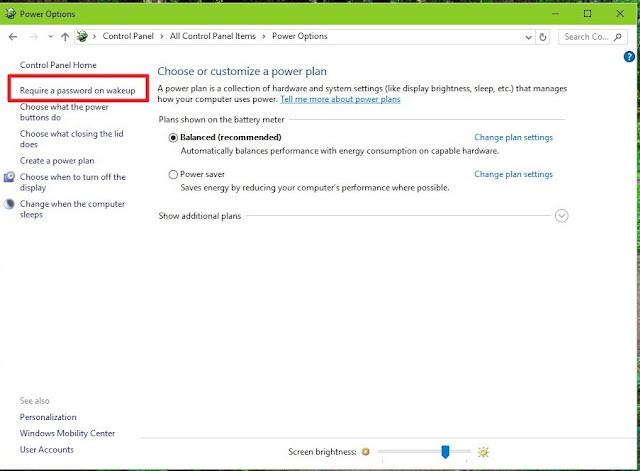 Note: If you see the Turn on fast startup (recommended) option is unchecked under Shutdown settings, then the feature is not enabled in your computer. To enable Fast Startup, check the Turn on fast startup (recommended) option, and click the Save changes button to commit the changes. 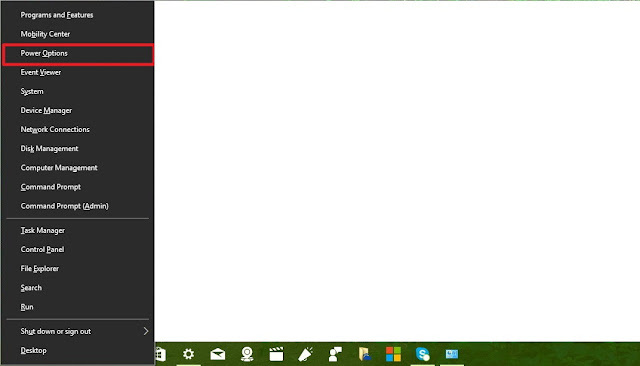 As you can see in the screenshot below, there is a chance that after following the above steps, you will find out that the Fast Startup option is not available to you, which also indicates that the feature is not enabled on your computer. 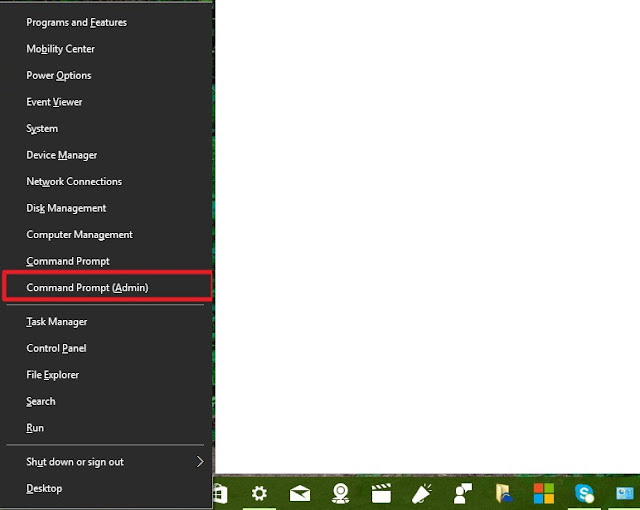 Right-click the Start button and select Command Prompt (Admin). Type the following command: powercfg /hibernate on and press Enter. 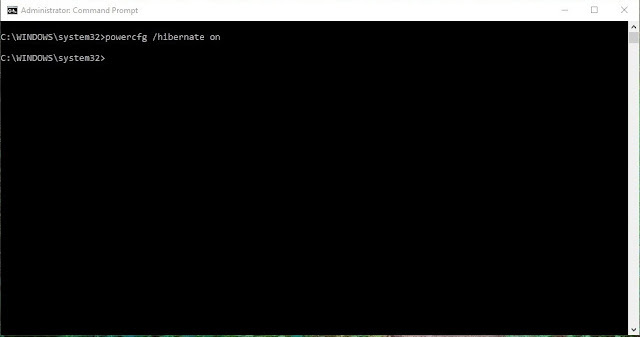 This command will enable the hibernate feature in your computer, which is an important component of fast startup. Now you should be able to see the Turn on fast startup (recommended) option in the Shutdown settings.That's all there is to it folks. 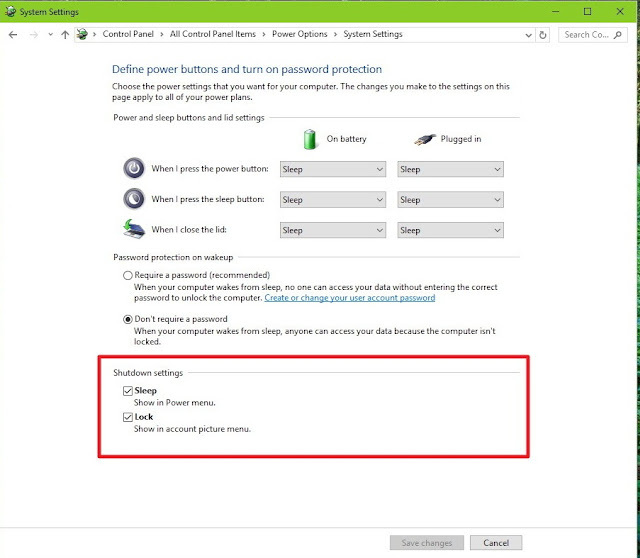 Although, Fast Startup is a great feature to make Windows 10 boot significantly faster than Windows 7, it's important to note that fast is not always a good thing depending on your system configuration and sometimes you may want to keep it turned off. For example, Fast Startup could be the root of boot issues. It's also not recommended to enable the feature on systems with very limited hard drive space, as it may not work correctly. And if you create a data partition on a dual-boot setup running Windows 10 (or Windows 8.1), data that you try to save using another version of Windows or from another platform won't save to the partition. This setup could cause data loss as Fast Startup will try to protect the file structure of your primary system from being changed.